CEPI member association the Institute of Professional Auctioneers and Valuers (IPAV) was represented at the Irish National Ploughing Championships 19th -21st September 2017 in Screggan, Tullamore, Co.Offaly, Ireland. IPAV manned the National Property Land Information Centre stand, one of around 1,700 stands at the event which as a whole saw approximately 300,300 visitors over the three day period. One prominent visitor to the IPAV stand was David Staunton the Irish Junior Minister of State for Equity Immigration and Integration. 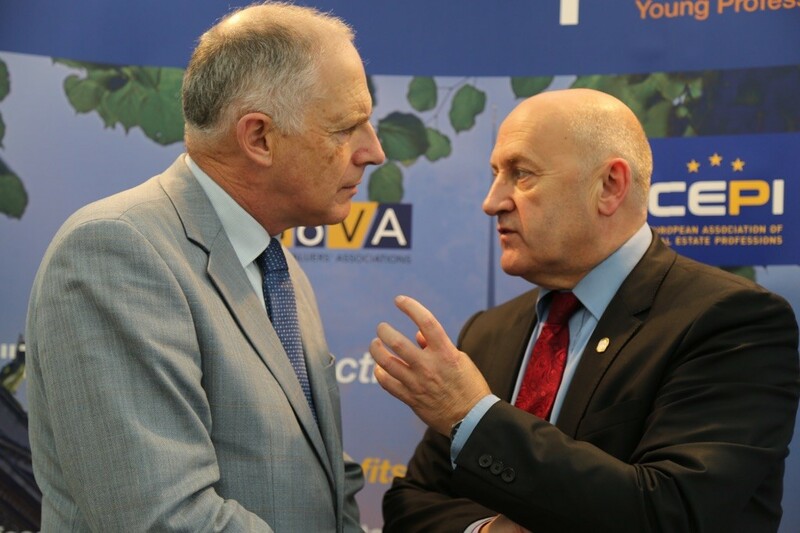 Pat Davitt, CEO of IPAV, took the opportunity to raise with Mr Staunton his concerns about some anomalies in the implementation of the 2011 Property Services Act in Ireland.